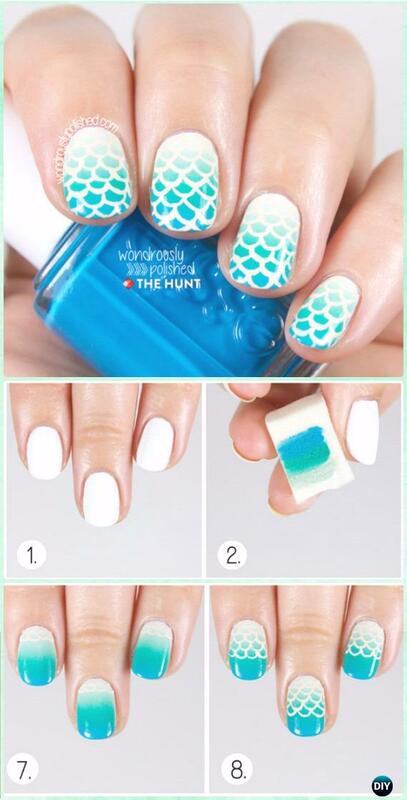 A collection of DIY Mermaid Nail Art Manicure Tutorials for the coming Summer Beach Nails. 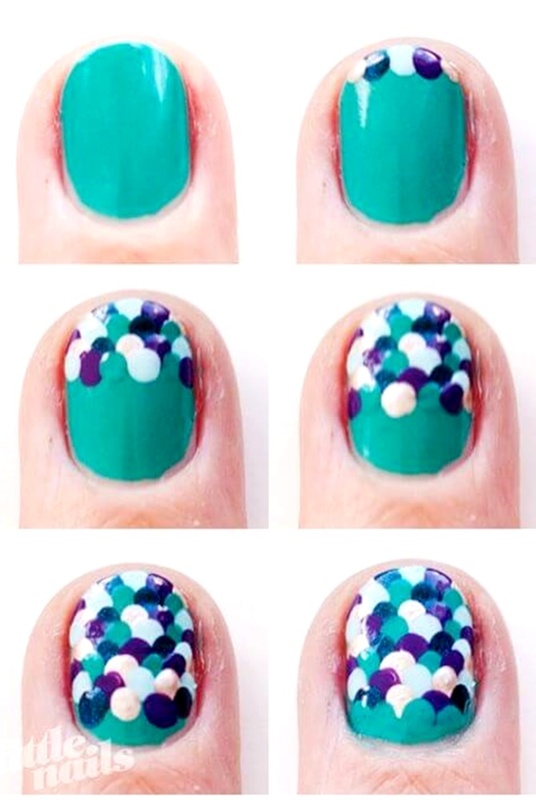 Our Beauty Channel is going to share a fabulous list of mermaid nails for Summer Beach wear. There are different ways to create the mermaid nails, free hand scale painting is the quick way, Vinyls Stencils makes your mermaid scale perfect, chicken net (or fish net) or cut a small part out of bath lily can be great choice to make the ombre mermaid nails. Add glitters or acrylic accessories will be gorgeous addition to them, too. Scroll down and see all the different color combinations and ways to make your Summer nails shimmer and shine. Make your perfect mermaid nails using Vinyls stencils for quick result. Get fishnet tights or produce bags and cover them as mermaid scale stencils.